You can stop right here if you have been searching the Internet looking for a reliable McKinney, Texas roofer that provides roof repair, roof replacement, and home remodeling services. Our company, Roofing & Remodeling of Dallas, has built a reputation as the leading roofing contractor in this area over a period of 30-plus years and counting. We get the job done right the first time, every time, and our A+ Better Business Bureau rating is quite telling. When your customer satisfaction quotient is off the charts after three decades, you must be doing something right. This city is the centerpiece of Collin County as the county seat, and it is one of the most desirable places to live in the entire United States. A few years ago it took the top spot in a list that was compiled by Money Magazine rating the best places to reside in our country, and it continues to garner national attention. We are proud to be able to serve residents of this fine community, and we look forward to building new relationships as time goes on. From the Virginia Parkway area to the Canyon Creek Drive/Stone Hollow section to the Hardin Boulevard/Maverick Trail neighborhood, for roof leak repair and roof replacement McKinney, Texas can depend on Roofing & Remodeling of Dallas for impeccable work and competitive pricing. From metal roofing to shingle, to total home remodeling projects, other roofing companies can’t compete with the variety of services offered here. 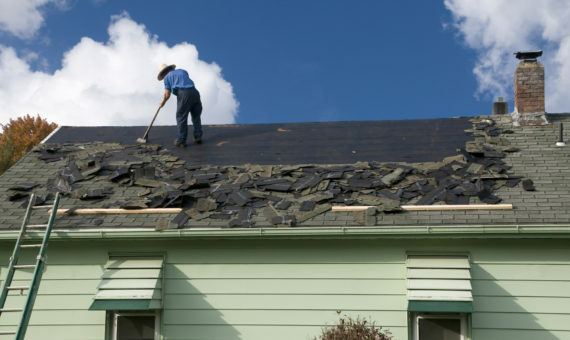 In many instances, a roof replacement will be covered by homeowners insurance. Most of our customers do not have any experience dealing with insurers, and this is understandable. We are experts when it comes to McKinney, Texas roof repair and roof replacement coverage that is contained within homeowners insurance policies. Our knowledgeable team members can and will advocate your interests and make sure that your claim is honored if the event is in fact covered. We use top-quality roofing materials, and our technicians in the field are highly experienced professionals that take a great deal of pride in the work that they do. Plus, we understand the fact the you have options when it comes to local roofers, so we go the extra mile to provide world class customer service from the first point of contact onward. If you ever need a roof repair or a roof replacement in McKinney, Texas give us a call at 972-231-7663, and you also have the option of sending us a message through the contact page on this website.